Building a scalable application that has high availability is not easy and does not come automatically. To that end, this webcast focuses on five keys that will help build applications that, as their use scales upwards, availability remains high. Build your applications keeping availability in mind. Consider availability concerns during all aspects of your application construction. Always think about scaling. While building your application, consider how it will perform when it has 10x the traffic it currently does. Do you need a different database strategy? What about state management? Caching? Mitigate risk. All systems have vulnerability. Understand the risk your application has, and implement mitigations to reduce the likelihood and severity of the risk occurring. Monitor availability. You can’t keep your application running if you don’t know how it is performing. Use application monitoring to keep an eye on how your application is performing, and generate notifications when the application performs in abnormal ways. Respond to availability issues in a predictable and defined way. When a problem occurs, do you know what to do to fix the problem? Does everyone on your team know what to do? Do you have playbooks written that have standard procedures and practices for fixing common problems? Have you verified your pager rotation works as expected? Lee Atchison has 28 years of experience and committed his career to architecting and building high scale, cloud-based, service oriented, SaaS applications. He has a specific expertise in building highly available systems. Lee is a Principal Engineer and Architecture Lead at New Relic. During the last four years at New Relic, he designed and lead the building of the New Relic platform and infrastructure products, and helped New Relic architect a solid service-based system architecture that scales as they have grown from a simple SaaS startup to a high traffic public enterprise. 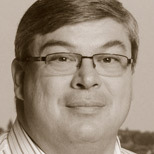 Lee learned cloud-based, scalable systems during his seven years as a Senior Manager and Principal Program Manager at Amazon.com. At Amazon, he led the creation of the company's first software download store (app store), created AWS Elastic Beanstalk offering (Platform as a Service), and lead the team that managed the migration of Amazon's retail platform from a monolith to an SOA-based architecture.